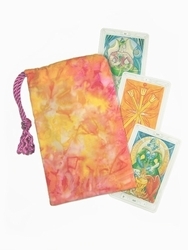 Gentle rose and peach, bright fuchsia, sunny yellow, vivid orange � all the colors of an early spring dawn blend together in this Ostara Tarot Cloth. The first flowers are peeping their heads through the still snowy ground and there are signs of new life everywhere! 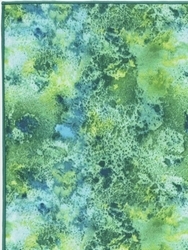 Renewal, rejuvenation � all the vital energy of the first day of spring is found in this cloth. Ostara Symbolism: Ostara is another name for the Spring Equinox, the dawn of the year. It's also the source of the modern word Easter. A Germanic Pagan Goddess of fertility, Eastre (or Eostre) was feasted at the Spring Equinox to celebrate the returning fertility of nature. 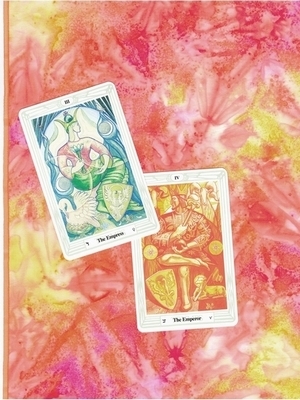 Ostara, or the Spring Equinox, is when the sun begins to gain strength after the long nights of winter. It is a time for planning, to make room for new hopes and dreams, for looking ahead after a long period of silent introspection. 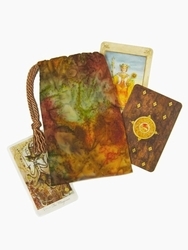 Deck Suggestions: With this bag we really like the Thoth Tarot by Aleister Crowley (pictured with bag) or the Crystal Visions Tarot shown with the Ostara Cloth below. Size: Measures approximately 21" by 21" (53.3 cm2). 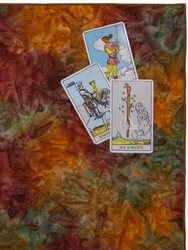 Easily fits a Celtic Cross spread with most standard sized tarot cards (3" x 5"). 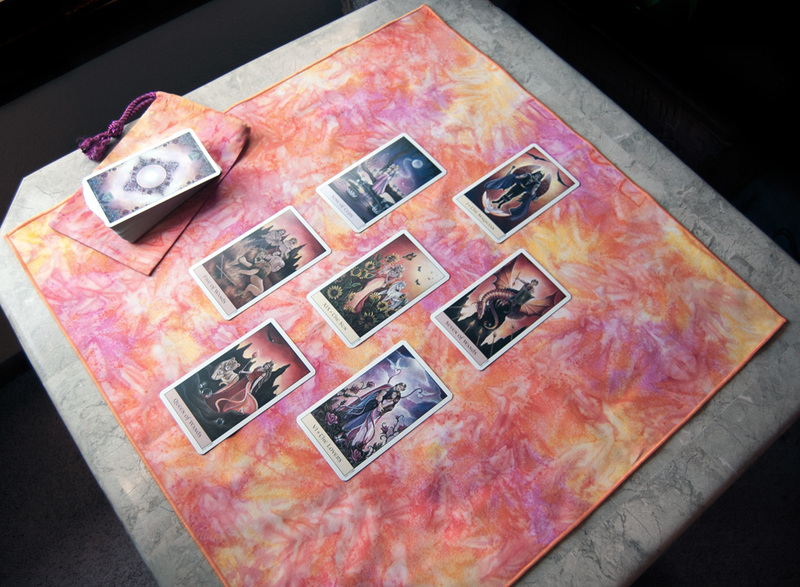 Want a different size tarot cloth? Contact us! When possible, we do accommodate custom orders.